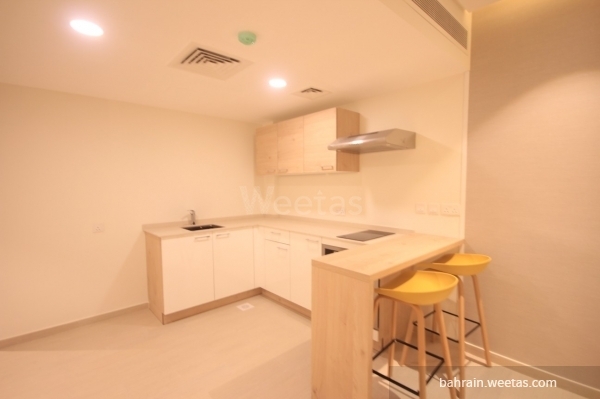 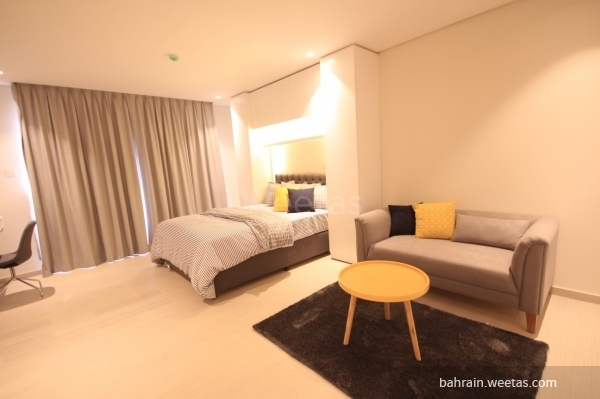 Fancy fully furnished studio for rent in busaiteen. 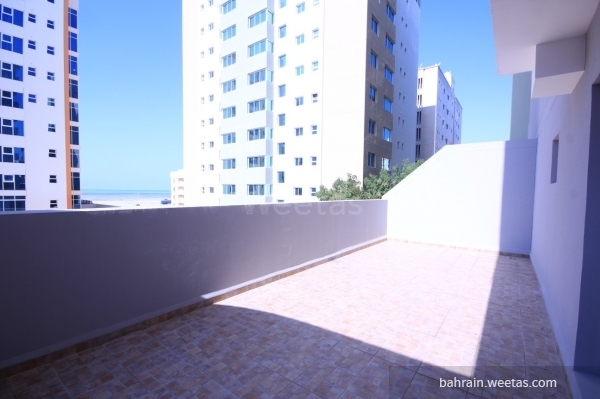 The studio has a bed, sofa, fully equipped kitchen, and a balcony with sea view. 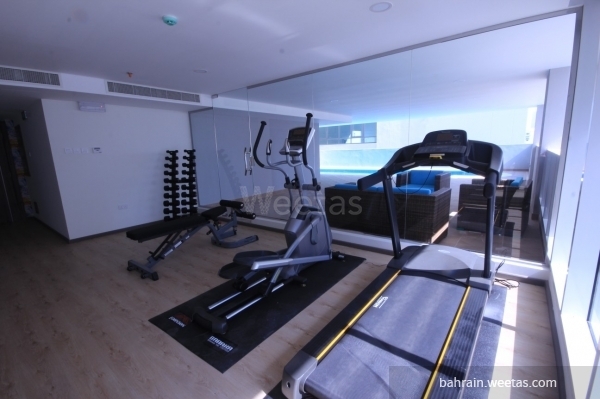 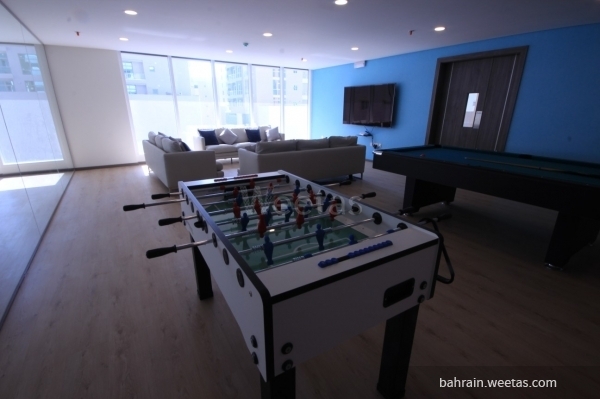 It has an access to many amenities such as pool, gym, car parking, game room, and security system.